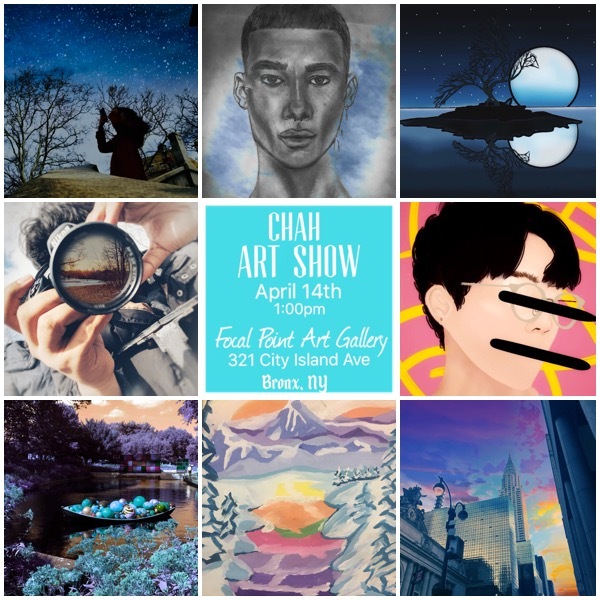 Visit the CHAH Art Show in City Island this Month! For the month of April, CHAH students will have their artwork featured in an art gallery in City Island in The Bronx! The CHAH Art Show begins at Focal Point Art Gallery on Saturday, April 14th at 1:00 pm. Focal Point Art Gallery is located at 321 City Island Avenue in City Island. Swing by to support your CHAH artists!